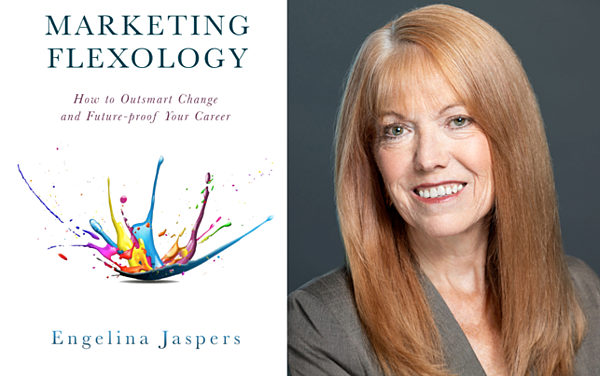 Engelina Jaspers is a 30-year corporate marketing veteran. Her career in Fortune global companies such as HP and Kodak has survived revolving door CEOs, business course corrections and lots of reinventions. Across all her VP leadership roles–marketing, brand strategy, environmental sustainability, corporate communications–none escaped disruption. After being tapped to lead multiple company-wide transformations, Engelina became a student of business and career agility. These experiences led her to develop the Marketing Flexology management framework—a mindset and a toolset that she teaches for outsmarting change and future-proofing your career.